Japanese schools are changing their dress codes, in part to accommodate LGBTQ students. The recently opened Kashiwanoha Junior High School in Kashiwa, Chiba Prefecture, initially did not plan to have any required school uniforms, but 90% of parents and future students they surveyed requested one. In response, Kashiwanoha Junior High School introduced a gender-neutral uniform option, allowing students to wear skirt or slacks, and ties or ribbons with blazers, regardless of a students assigned gender. Traditional school uniforms are gender-segregated, and include jackets with stand-up collars for boys, and the well-known sailor-style outfits with skirts for girls. The move is in part due to LGBTQ students’ needs, as well as the impracticality of the traditional uniform skirts for female student worn in colder weather. Other schools are following suit, including a junior high school in Fukouka Prefecture. 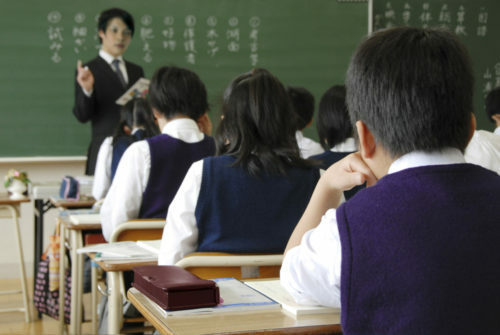 School boards in Osaka, Fukouka, and Tokyo are discussing similar moves this year. The move comes after years of cultural shifts in education, starting with a 2014 survey by the Education, Culture, Sports, Science and Technology Ministry that found 606 cases of gender dysphoric students in schools across the country. The ministry issued a notice in 2015, encouraging schools to make their schools more welcoming. The changes to school uniforms are part of this change. It is as of yet unclear how popular the uniform changes will be. Some female students are concerned about drawing attention to themselves by opting for trousers, while many transgender and gender non-conforming students may be concerned that choosing an outfit more in line with their preferences could do the same.